Ariana Grande stumbled onstage while performing her new single "Thank U, Next." The 25-year-old singer tripped and nearly fell while debuting the song on Wednesday's episode of "The Ellen DeGeneres Show." 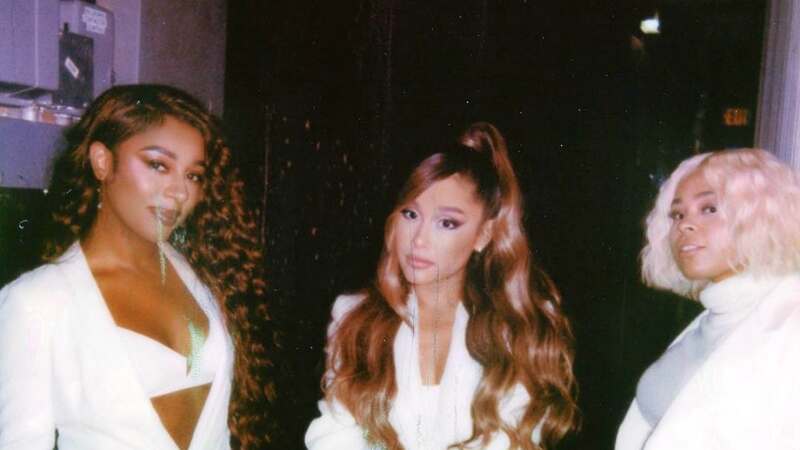 Grande and her backup dancers, Tayla Parx and Victoria Monet, channeled the 1996 movie "First Wives Club." The trio wore all-white ensembles on the stage, which was decorated to look like a wedding reception. The "God is a Woman" singer got up on a chair to sing and dance at one point during the performance. She slipped on the floor while getting down but managed to recover her balance. 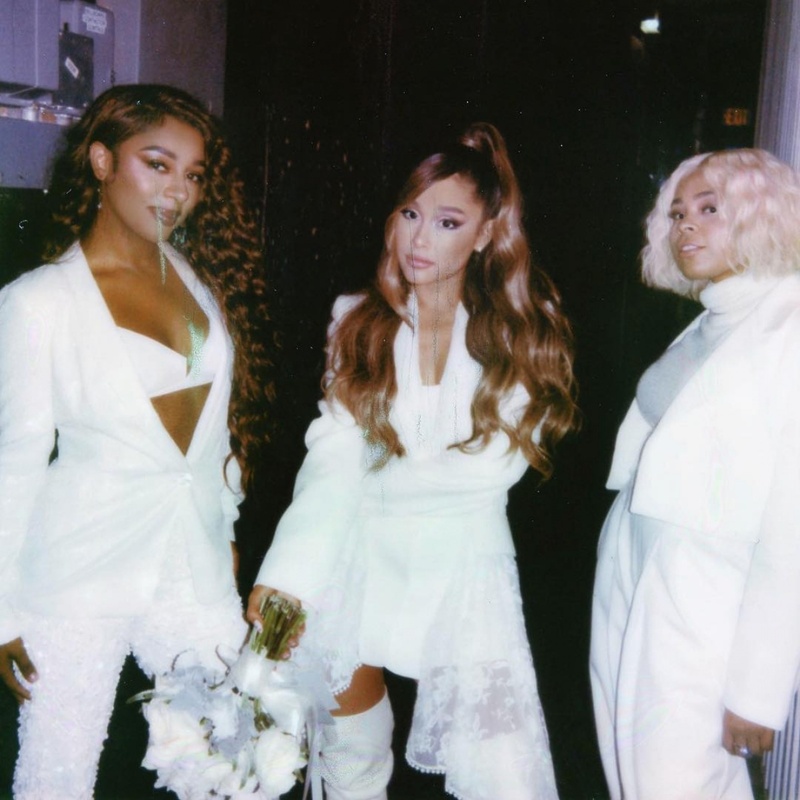 Grande had shared a photo with Parx and Monet on Instagram prior to the performance. "first wives club 2018 ...... @thellenshow tomorrow," she captioned the post. "i love you @victoriamoney @taylaparx ... thank u, next." Grande released "Thank U, Next" last week. The song's lyrics reference several of the singer's ex-partners, including ex-boyfriend Ricky Alvarez, ex-fiance Pete Davidson and late ex-boyfriend Mac Miller. Alvarez, Grande's former backup dancer, reacted to the song Monday on Instagram Stories. Grande references Alvarez with the lyric "Wrote some songs about Ricky, now I listen and laugh." "Nothing but gratitude," he wrote, according to Entertainment Tonight. "Thank you, next... (those songs are fire tho... you're welcome)." "Oh for sure ... ty next ... HAHAHAHAHHAHAHAH IM SORRY U GOT THE WORST LINE. It was meant v lovingly," Grande responded.